Or, get it for 116800 Kobo Super Points! 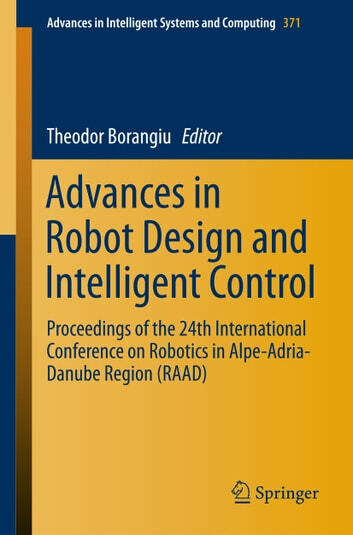 This volume includes the Proceedings of the 24th International Conference on Robotics in Alpe-Adria-Danube Region, RAAD 2015, which was held in Bucharest, Romania, on May 27-29, 2015. The Conference brought together academic and industry researchers in robotics from the 11 countries affiliated to the Alpe-Adria-Danube space: Austria, Croatia, Czech Republic, Germany, Greece, Hungary, Italy, Romania, Serbia, Slovakia and Slovenia, and their worldwide partners. According to its tradition, RAAD 2015 covered all important areas of research, development and innovation in robotics, including new trends such as: bio-inspired and cognitive robots, visual servoing of robot motion, human-robot interaction, and personal robots for ambient assisted living. 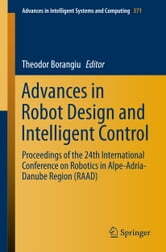 The accepted papers have been grouped in nine sessions: Robot integration in industrial applications; Grasping analysis, dexterous grippers and component design; Advanced robot motion control; Robot vision and sensory control; Human-robot interaction and collaboration; Modelling and design of novel mechanisms and robotic structures; Robots in medicine and rehabilitation; Tracking systems and Unmanned Aerial Vehicles; Autonomous task learning, motion planning and scheduling.